25-year-old Oztumer, who scored fifteen goals in forty-five appearances, is likely to have plenty of suitors over the summer. 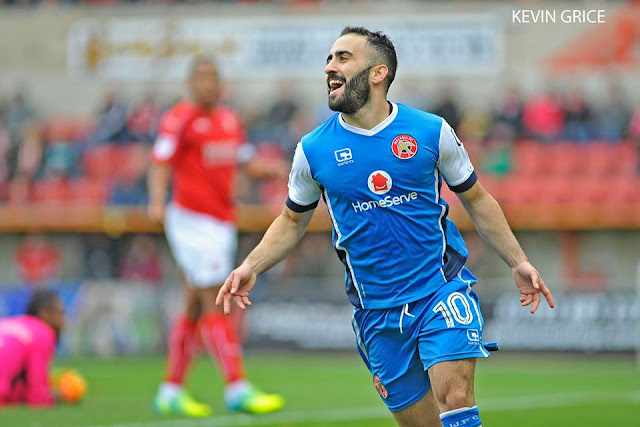 According to media reports, Walsall attacker Erhun Oztumer, who scored fifteen goals during his debut season at Banks's Stadium, is the subject of increased transfer speculation as managers up and down the country begin to name their targets for the upcoming transfer window. 25 year-old Oztumer, who joined the Saddlers on a free transfer after being released by Peterborough United last summer, is said to be wanted by several Championship sides including Nottingham Forest, Bristol City, Sheffield United and Bolton Wanderers. Both Forest and City are looking to improve their attacking options following a season battling against relegation, whilst the Blades and Bolton are keen to add to their already strong squads following their promotion to the second-tier of the English game. Erhun, who also created seven goals along with those he scored himself, has one year remaining on his Walsall deal and was recently offered a new contract by the club as they looked to tie down their prized asset ahead of the 2017/18 campaign. Though it is believed that he turned down the deal.